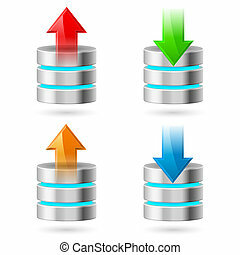 Database icon off. 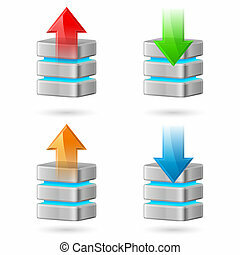 Computer database icon off. illustration on white. On Off switch sign. Vector. Icon. Hole in moire background. On Off switch sign. Vector. Grayscale version of Popart-style icon. On Off switch sign. Vector. Gray icon shaked at white background. On Off switch sign. Vector. Gray 3d printed icon on black background. On Off switch sign. Vector. Whitish icon on brick wall as background.